Air purifier Roger Little, R-012 - Dual Filter™ combined with a HEPA filter that stops the finest particles and a carbon filter that stops gases and fragrance molecules. Air quality is measured continuously and the indicator changes color if air quality deteriorates. The recommendation applies to 22,65 m³ and level 2. 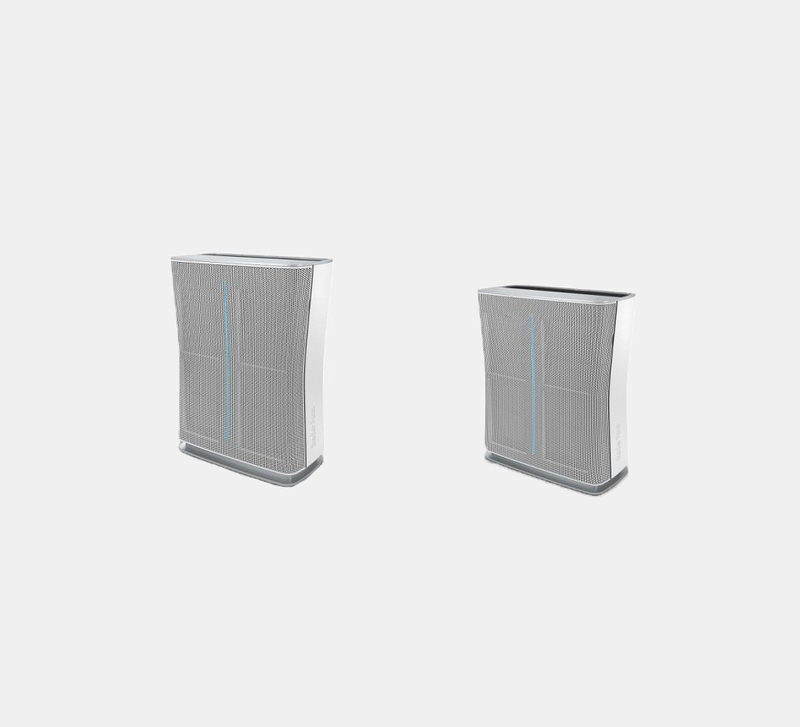 Air purifier Roger, R-011 - Dual Filter™ combined with a HEPA filter that stops the finest particles, a carbon filter that stops gases and odor molecules. Air quality is measured continuously and indicator changes color if air quality deteriorates. The recommendation applies to 30,9 m³ and level 2.